In January 2017, at the Bongioanni Stampi plant in Fossano, Italy, roofing tile model no. 3014-ST was developed for a French-type double-troughed interlocking tile ordered by Mazarrón, a customer in Toledo. 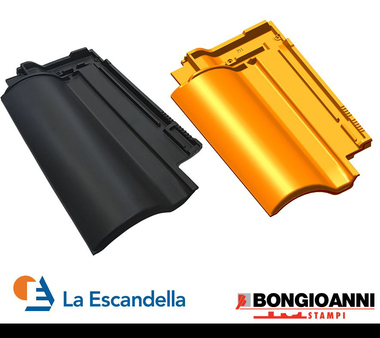 With this new model, Bongioanni Stampi has developed more than 3000 different roofing tile and accessory models since its founding. 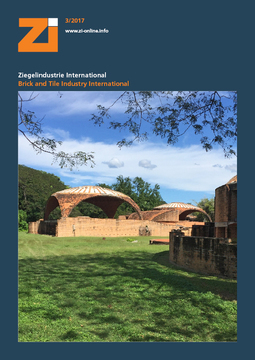 The first roofing tile model was produced back in 1945, the first documented 2-ST mould for a French-type double-troughed interlocking roofing tile manufactured by the customer Fornace Cuniverti, Vicoforte Mondovì. Most likely, production began even earlier, but there are no longer any records for that time. 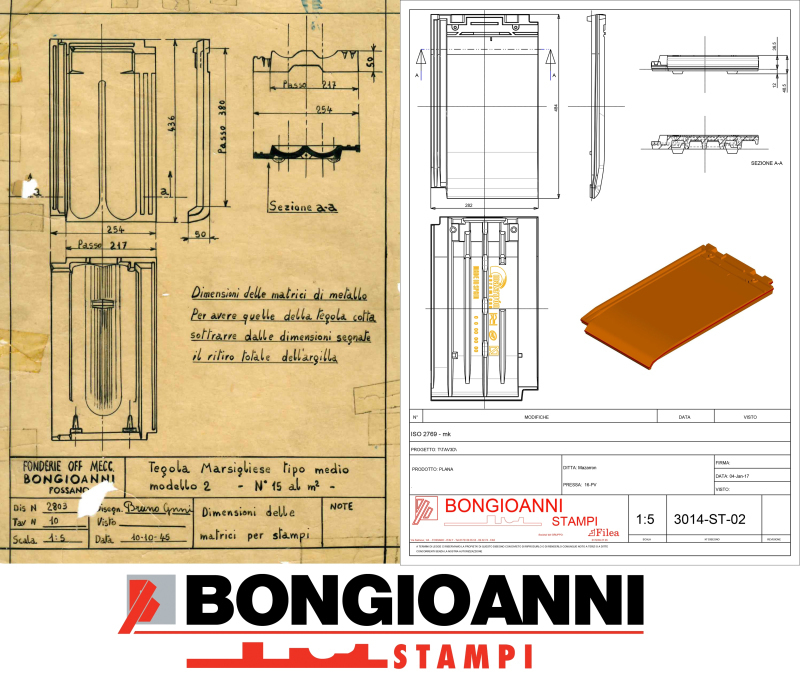 Today, Bongioanni Stampi‘s development work is stored in both electronic form and on paper. Like digital design has replaced drawing on paper, the wooden models –truly works of art – have been replaced with resin models. These are made with CAD/CAM technology based on the processing of digital data. The ideas and solutions worked out with the customers are all developed today with 3D systems. This enables testing of the product with regard to all technical and aesthetic aspects. The prototype is translated directly into resin models, for practical evaluation of the product, before the actual product is manufactured. 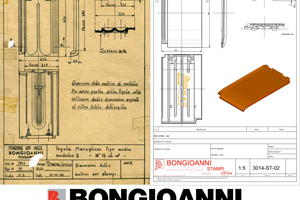 Bongioanni Stampi works with world leading roofing tile manufacturers as its customers. With intensive cooperation and technical support, Bongioanni Stampi has succeeded in industrializing a manufacturing process that was craft-based for a long time.